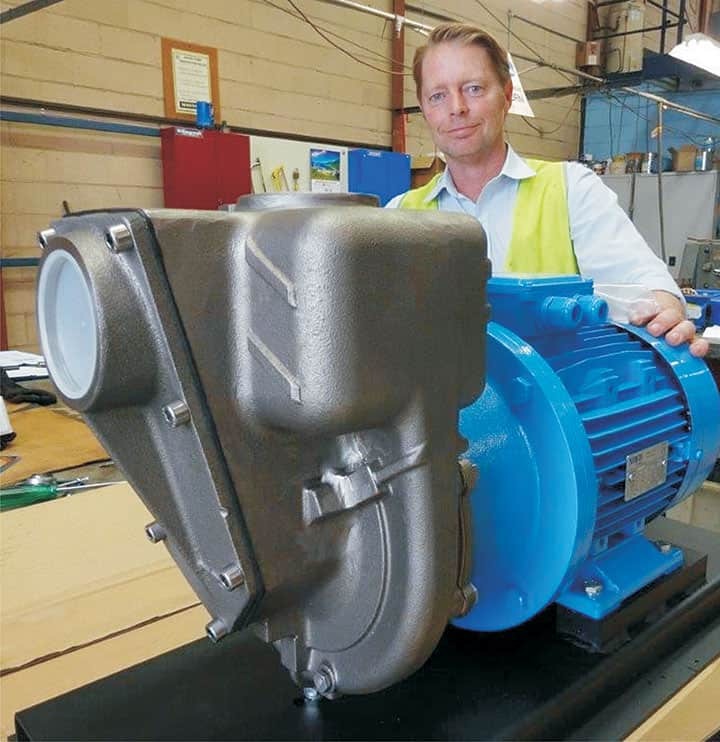 A new cast 316 stainless steel self-priming centrifugal pump has been introduced to handle corrosive liquids in mining and processing applications. The new range of electric drive pumps are close coupled and feature high efficiencies for both high and low head applications. Introduced by Australian Pump Industries, the pumps are designed to answer a serious need in mining and chemical industries for cost efficient, ISO 9001 quality products, capable of handling contaminated and corrosive liquids. 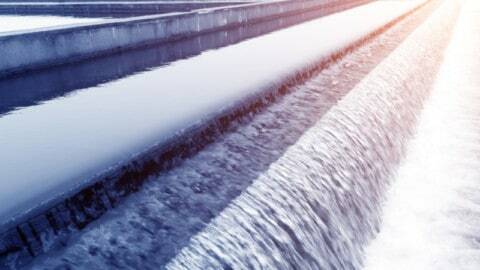 “This product line has been developed for mine tailings and other difficult corrosive liquids including salt water,” said Aussie Pumps Product Manager Neil Bennett. The first pump to be introduced is a 5.5kW 3” pump that delivers a maximum flow of 910LPM with the added ability to handle solids to 10mm. 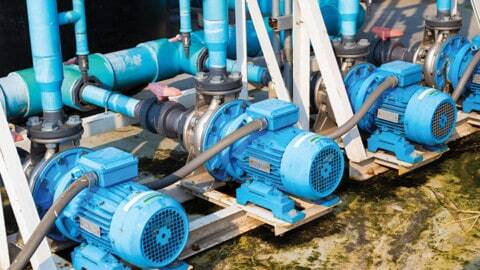 Like all of the Aussie GMP range, the pump is self-priming with the ability to draft water from depths of six metres. 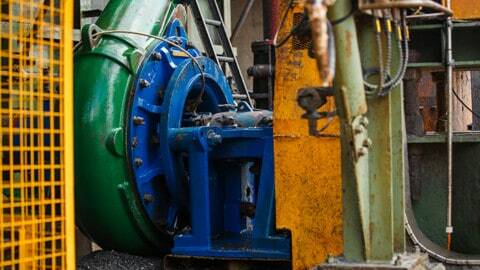 The maximum pump head is 40m, making it ideal for high pressure water transfer or even machinery washdown. Power for the machine comes from a 5.5kW TEFC three phase, two-pole electric drive motor. Pump and motor are installed from the factory on a heavy duty steel base for ease of installation. Optional stainless steel or hot galvanised steel bases are available on request. 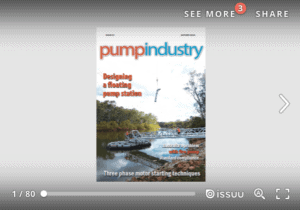 “The pump’s big advantage is its ease of repair in the field and simplicity of operation. Even changing the seals is simple,” said Mr Bennett. The secret of the pump’s excellent self-priming characteristics are the big “shoulders” in the priming tank incorporated in the unit’s design. The high-mounted suction port also helps fast self-priming without the need for additional aids like vacuum pumps or compressors. The new pump is available in nickel aluminium bronze, as well as with a semi-trash version available in the cast iron configuration. Seals are heavy duty mechanical style with nitrile elastomers. 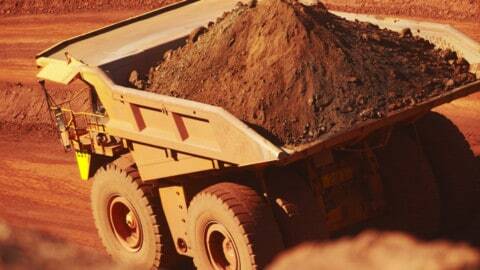 Optional Viton and silicon carbide are also available on request. The first pumps are going to Kalgoorlie where they will be used for mine tailings and washstand applications in high ph level liquids. This partner content is brought to you by Aussie Pump Distributors. 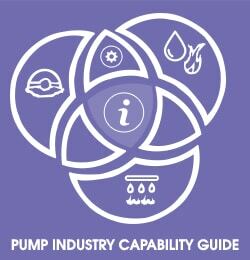 Further information, including a free data pack, is readily available from Australian Pump Industries or Aussie Pump Distributors throughout Australia or at www.aussiepumps.com.au.